You are here: Home / Education Center / What is Chronic Disease and How to Treat it? In order to understand what is chronic disease, we must first create a distinct separation with acute disease as, until recently, they where treated similarly. Acute disease is sudden and short lived. Chronic disease develops over time and its signs and symptoms show up gradually. Chronic disease is continuous, progresses and usually, if no lifestyle changes are made, gets worse over time. Examples of chronic disease are Alzheimer, rheumatoid arthritis, Parkinson’s and cancer. Why is this distinction important? Because it will determine the way the disease needs to be treated. In the case of acute disease, the focus is on reducing and eliminating the symptoms. In the case of a sudden heart attack, for example, if the treatment does not immediately focus on the symptom, the person could die. In the case of chronic disease however, the focus must not be placed entirely on the symptom but on the whole person and their lives. Chronic disease is not sudden. 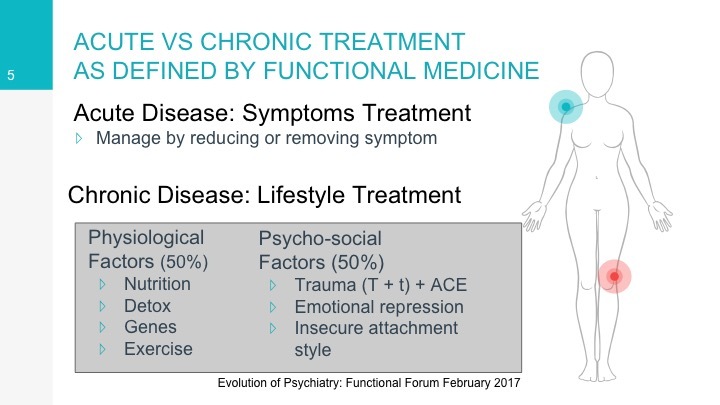 It appears gradually and, in order to effectively treat it, the whole person, that is their environment, both physically such as nutrition, sleep, toxins and gentle exercise, as well as mentally, such as repressed emotions, past trauma, beliefs, behaviors and relationship style must be addressed if the person is to heal from their chronic disease. Focusing on reducing or eliminating only the visible symptom is like eliminating the red flashing light in your car’s dashboard and not looking under the hood to what created the flashing signal to turn itself on. 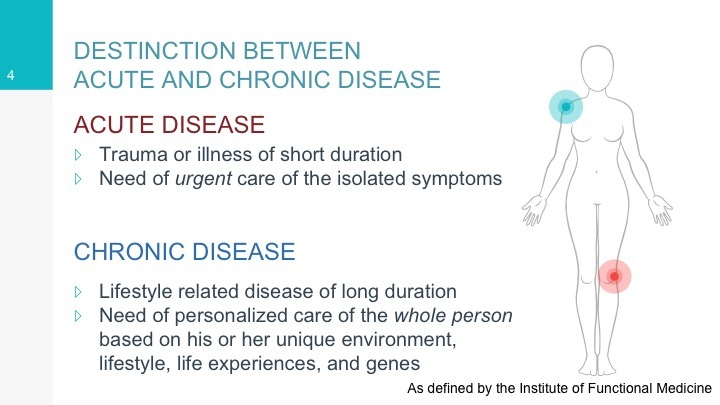 Knowing “what is chronic disease” helps to know what is the best means to treat it. How Can Hypnotherapy and NLP Address Chronic Disease? 1. Increase compliance with life style changes, such as diet, exercise, and detoxing through working with commitment and motivation. 2. Address the psychosocial factors behind the disease by both discovering what factors in the client’s life that is overloading the body and transforming those factors. In MINDbasedHealing, we teach our practitioners what is chronic disease and how to use hypnotherapy and NLP to help our client’s understand what the body is reacting to in their lives and how to create lasting change.